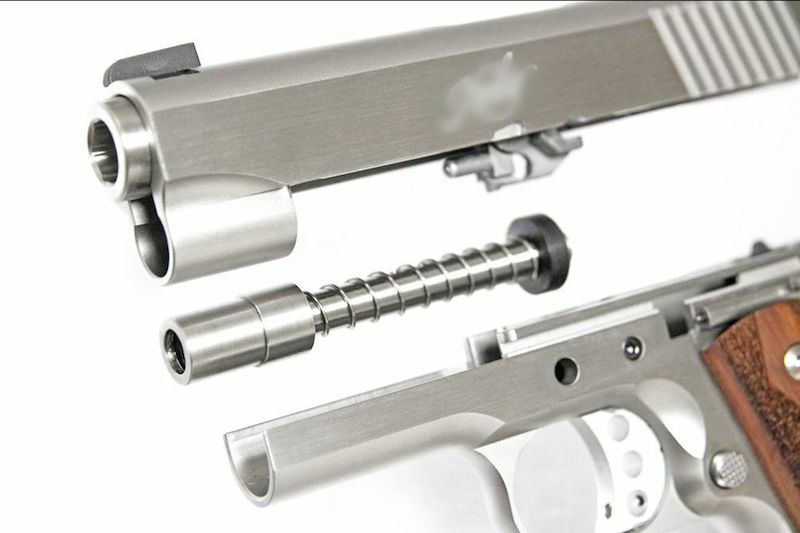 The M1911 is a single-action, semi-automatic, magazine-fed, recoil-operated pistol chambered for the .45 ACP cartridge. 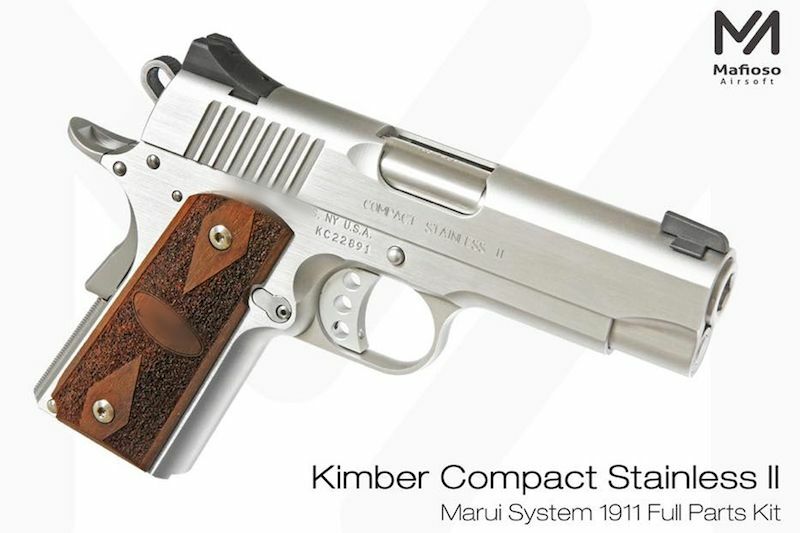 It served as the standard-issue sidearm for the United States Armed Forces from 1911 to 1986. It was first used in later stages of the Philippine?American War, and was widely used in World War I, World War II, the Korean War, and the Vietnam War. The pistol's formal designation as of 1940 was Automatic Pistol, Caliber .45, M1911 for the original model of 1911 or Automatic Pistol, Caliber .45, M1911A1 for the M1911A1, adopted in 1924. The designation changed to Pistol, Caliber .45, Automatic, M1911A1 in the Vietnam War era. 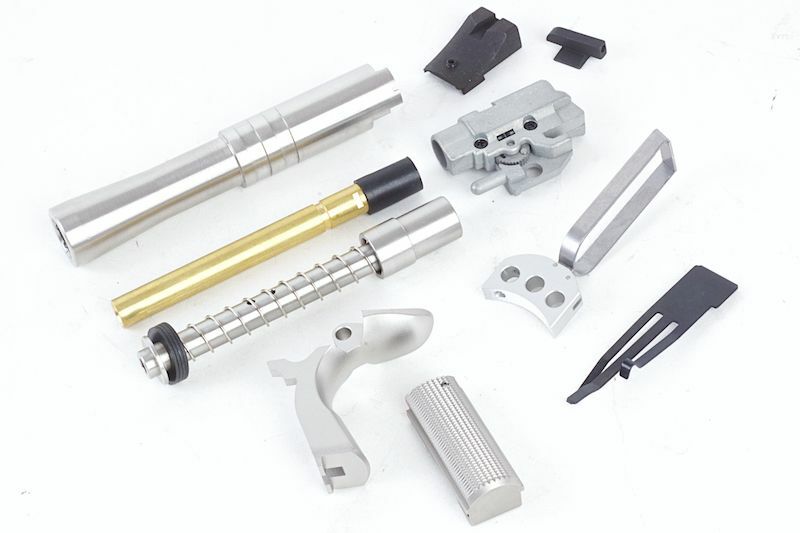 Mafioso are known for making quality kits for pistols and have been around for awhile in the airsoft market. If your looking for the best and most realistic airsoft kit then they are the company to go for, since majority of their kits fit on the ever so popular Tokyo Marui products. 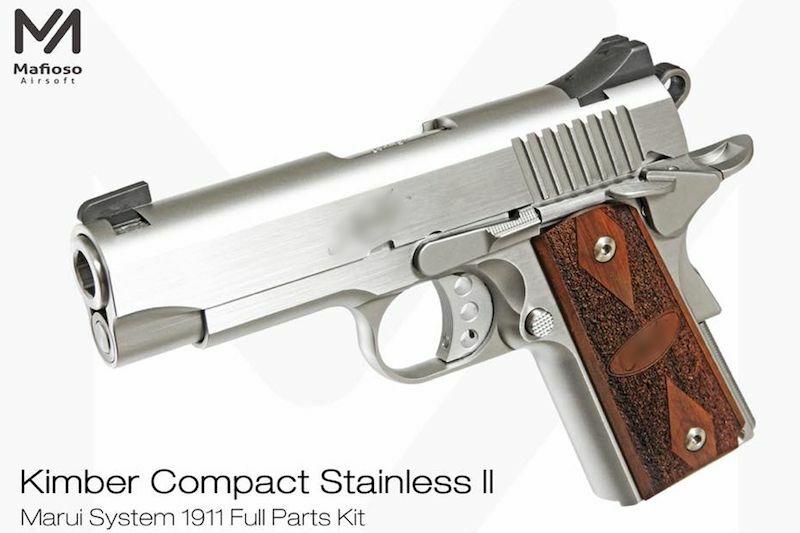 The 1911 platform is popular and common that its usage is well known and practiced by many players and easy to find holsters for and the pistol is all metal for great weight and feel. 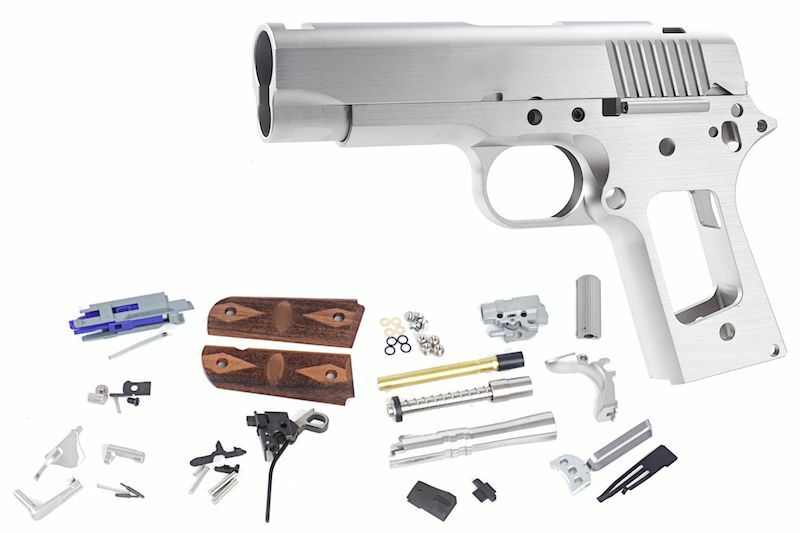 This replica is well put together and can compete with a lot of GBB pistols on the market to date, and all the control latches and such are crisp and secure. Majority of the parts are beautifully crafted out of stainless steel and has everything you need to build up your airsoft pistol from scratch. What makes this even more promising is that its based on the Tokyo Marui system which are well known for their high performing products straight out the box. The only thing you missing is the magazine so please make you have a magazine around! Please note this product comes disassembled into parts so you'll need adequate knowledge in putting it together as it is no easy task. If all else fails you can bring it to your nearby airsoft store for assistance.